We'd love to hear from you so please feel free to give us a call or drop us an email to talk about your upcoming project. Alternatively, please fill out the below form and we will get back to you as soon possible. 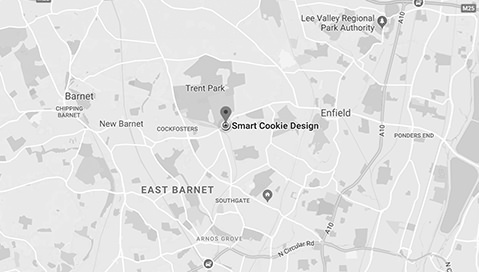 We are conveniently located a stones throw away from Oakwood Underground Station with great connections from central London and the M25 giving clients easy access to our office.